WE HAVE A WINNER-SUSAN SNODGRASS!-AND THE RAFFLE GOES ON!!! 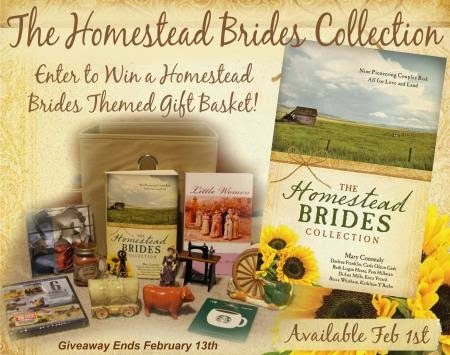 You won a copy of The Homestead Brides Collection. to find out where to send the book. Thank you everyone who left a message. I hope you entered the raffle for a chance to win more prizes. If not there's still time. If you'd like to buy a copy of The Homestead Brides Collection. My part of this nine-author book is called Homestead on the Range. Authors always have to learn new things to write a book. We study the setting, the grass and trees, the native animals, career skills, clothing styles, we have to set our story in a time and place and to do that we need to learn new things. 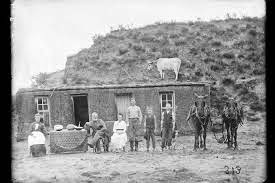 For Homestead on the Range I had to learn to build a sod house. 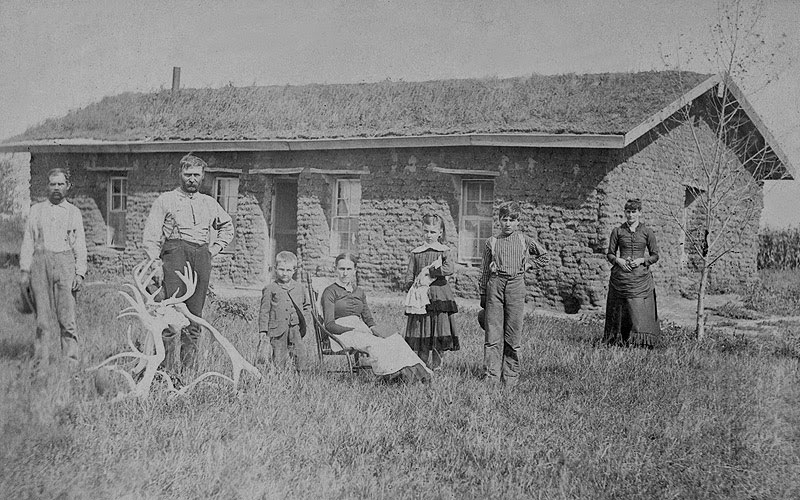 There are antlers stacked in front of this sod house. This is mysterious. These people seem very somber. Why not? 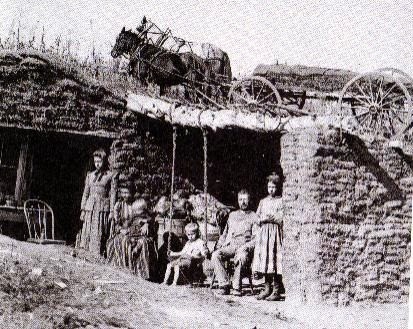 They live in a sod house. I'll bet they don't have air conditioning. I'll bet that stack of antlers is their most prized possession. Now I truly wish I could say here that to make everything realistic, I built a sod house out my back door and now I live in it during the summer, just so I can bring my book to life for all you lovely readers. Wouldn't that be interesting? Wouldn't you all just lean forward to learn every single thing I know about building a soddy??? Why is there a team of horses on the top of this house? Why are those people in a 'room' with no front wall? Do sod houses have....open porches? I'm going with YES. We have photographic proof here. But what I learned about sod houses is, many of them have wooden frames, which is sort of weird because wasn't the whole point that there wasn't wood? So where'd they get a frame? And they didn't invent breaking plows until mid 1880s. Before that they were cutting hundreds, possibly thousands of sod bricks with a shovel. It makes me want to cry a little, just thinking about it. Have I mentioned I'm a wimp? God bless these people. Wow, they worked their HEARTS OUT to gain property, to be free, to own a home, claim some land. It's really amazing and inspiring and I'm frankly ashamed of myself for being so sedentary and out of shape. Which is no fun so let's move on! 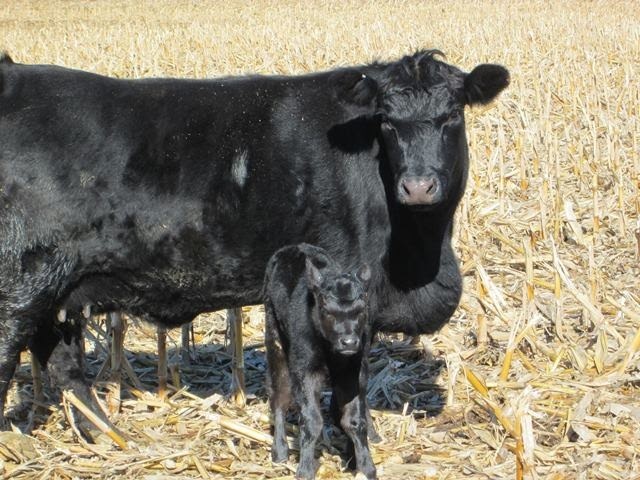 These are the Chrisman sisters, each claimed and proved up on her own homestead. This picture inspired my Wild at Heart series. Or maybe it's more accurate to say it was the seed from which the story grew. 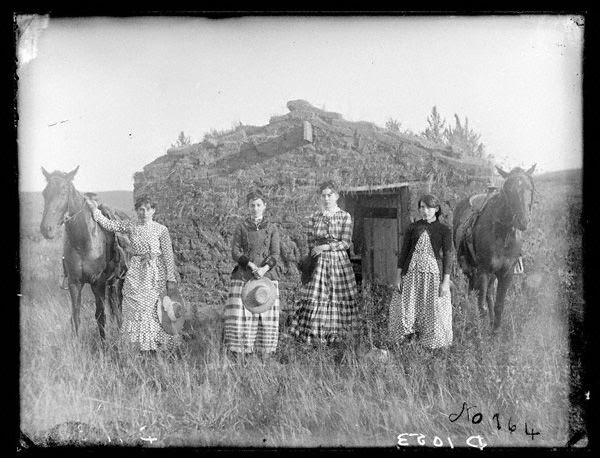 A sod house had 'bricks' about 2 to 3 feet long and a foot wide. They'd lay the sod lengthwise, side by side so the walls were around 2.5 feet thick. Get that? It's like a FORTRESS. The walls are thick enough to stop a canon ball. But it did help with the winter wind and the blazing heat of summer. Yep, I'm bettin' these were as cozy as all get out. That sod was a fine substitute for central heating. Okay, I'm beating that to death. And now we've got a cow on the roof. It's like a theme or something! The walls were laid alternately the long way and the short way, this made the walls sturdier, the strips of sod would bind together and stand better. it's kinda like Legos only not primary colors and no cute movie characters! And they laid the sod GRASS SIDE DOWN. I tried to find out why but couldn't really get to the bottom of it. I assumed it was to keep the children from grazing since they were probably starving to death. Leave a comment to get your name in the drawing for The Homestead Brides Collection. Homestead on the Range: Widow Elle Winter meets new homesteader Colin Samuelson on the Nebraska prairie, but the attraction between them is quickly dampened by the discovery that they have seven children between them. Soon their children are working against them to bring the two families together. Other contributors to The Homestead Brides Collection are: Darlene Franklin, Carla Olson Gade, Ruth Logan Herne, Pam Hillman, DiAnn Mlls, Erica Vetsch, Becca Whitham, and Kathleen Y'Barbo. Mary Connealy writes Romantic Comedy with Cowboys, which is odd because Mary is a serious woman who behaves herself and only writes things with the utmost calm and reasonable tone. Writing comedy is just counter-intuitive.